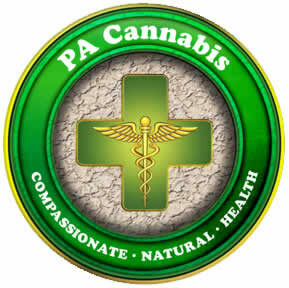 PA Cannabis is proud to announce our association with Maxton Health! Maxton Health is a team of Medical Professionals consisting of Pharmacists and Researchers with a profound belief in the healing properties of the Cannabis plant. Their principal focus is the production of organically grown, non-GMO, phytocannabinoid-rich oils, gum drops, creams, gummies, capsules and softgels. This full spectrum CBD oil contains less than .3% THC and is organically-grown and processed in the Southeast United States. This Zero-THC, organically-grown CBD oil is made right here in the USA. 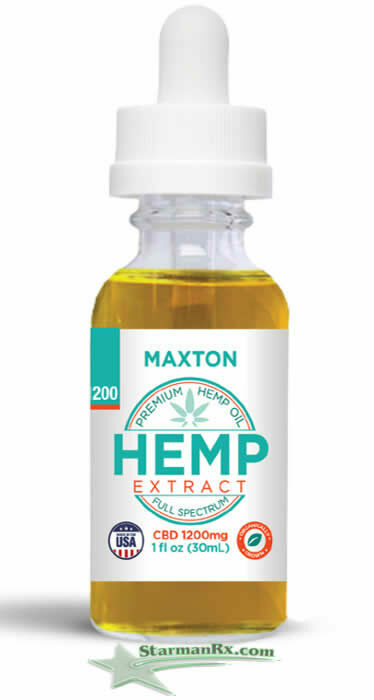 This broad spectrum CBD oil is great for those seeking a high-quality CBD extract without THC. 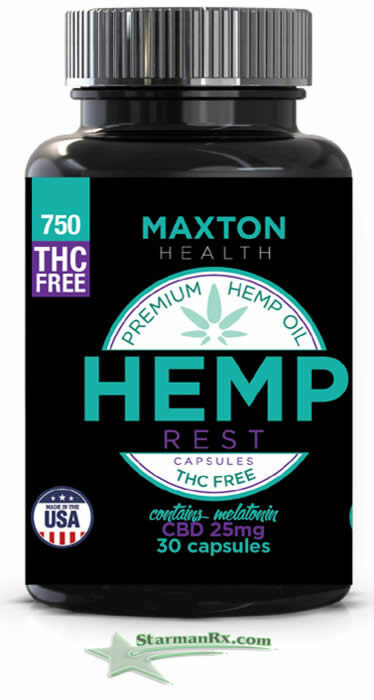 These capsules are made with THC-free phytocannabinoid-rich hemp extract and just the right amount of essential sleep aid for rest and relaxation. Broad spectrum CBD capsules infused with our proprietary energy formulation including Green Tea Matcha Extract to help you power through your day. 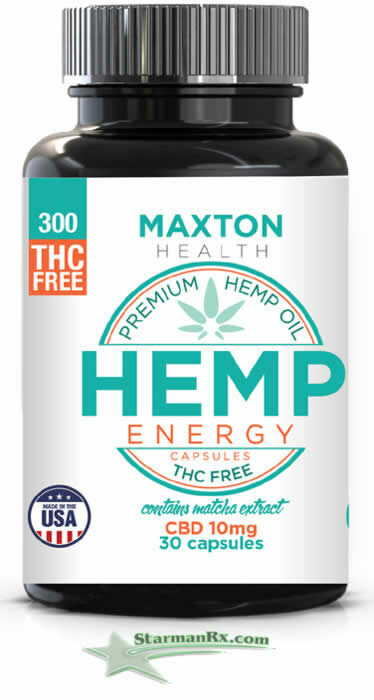 In addition to the natural healing properties of premium, organic CBD, these capsules can help aid awareness and increase efficiency in many areas in life. 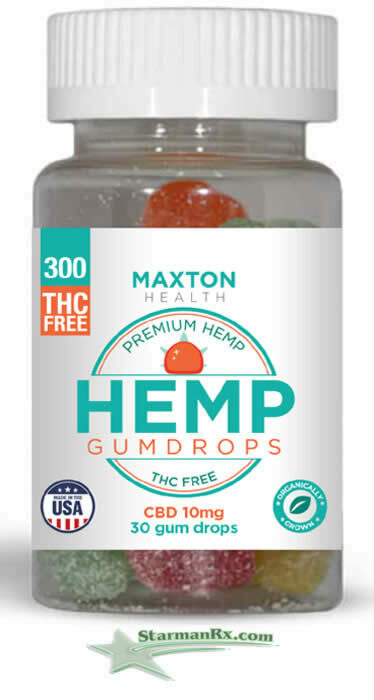 Tasty gumdrops infused with broad spectrum, phytocannabinoid-rich hemp CBD oil. These Phytocannabinoid-Rich (PCR) Gumdrops are created with our broad spectrum zero-THC oil which contains cannabidiol (CBD), other minor phytocannabinoids, and naturally present terpenes. Each gumdrop is infused with oil – not coated. 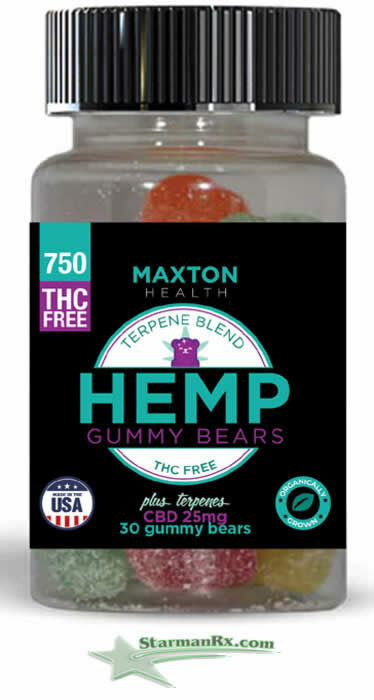 These THC-free gummy bears incorporate a custom terpene blend ideal for relaxation and rest and include 25mg of broad spectrum hemp extract. Classic gummy bears enhanced with CBD and a proprietary blend of terpenes and cannabinoids proven to optimize rest and relaxation. Though delicious, these gummies are meant to be treated as a sleep aid and supplement. 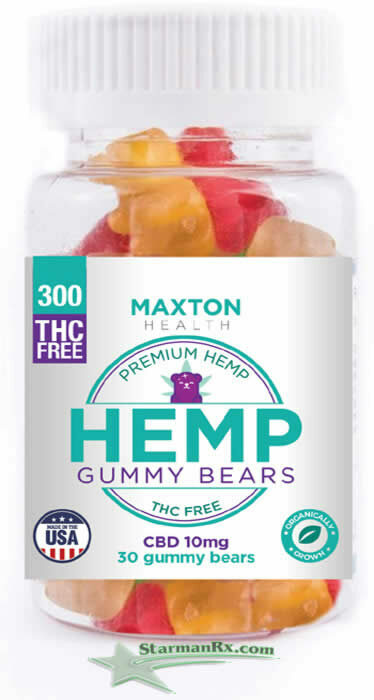 Enjoy the delicious flavor of these Gummies while providing the effective relief of cannabidiol. Studies have suggested a wide range of conditions which these Gummies may provide relief, such as: Anxiety, Pain Relief, Sore Muscles, Stiff Joints,and Sleeplessness. These Gummies are to be treated as a supplement (not a snack) and used daily. Best taken with or after a meal for optimum bio-availability. Time to wake up your taste buds with the world’s most flavorful assortment of Gourmet Jelly Beans infused with THC Free CBD. Maxton Health has combined the delicious gourmet flavors while offering the potential health benefits seen with our Organic THC Free Hemp Extract. 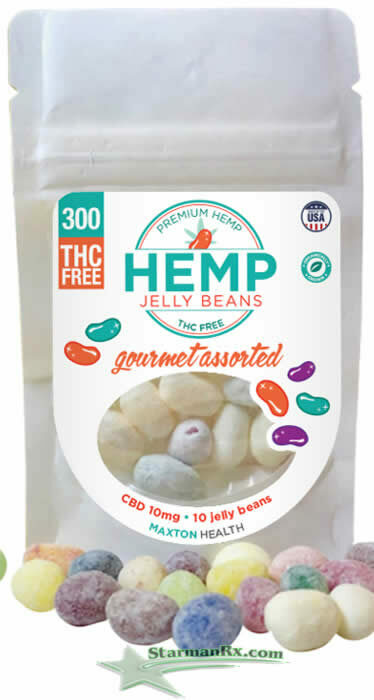 Each jelly bean contains 10mg of CBD and should be used as a supplement and not a snack. 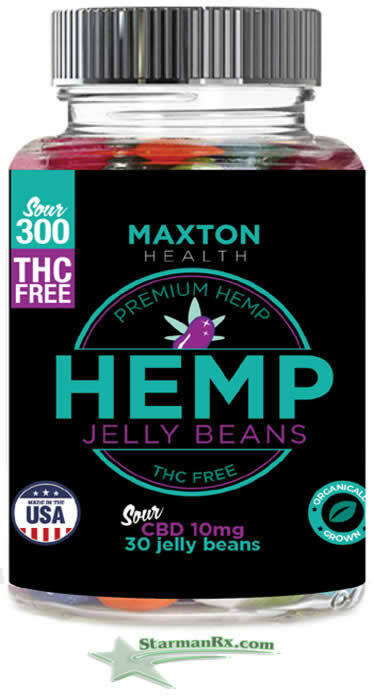 Time to wake up your taste buds with the world’s most flavorful assortment of Gourmet Jelly Beans infused with THC Free CBD. 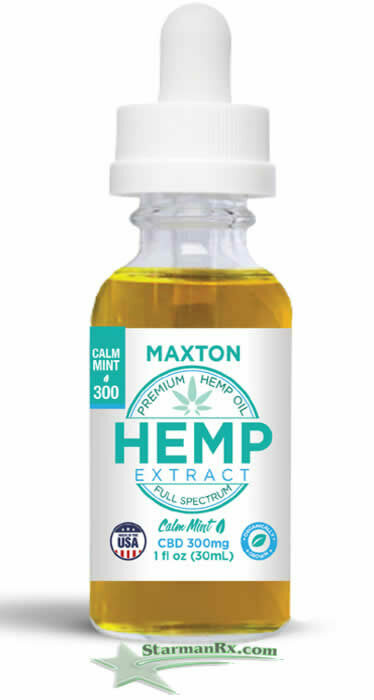 Maxton Health has combined the delicious gourmet flavors while offering the potential health benefits seen with our Organic THC Free Hemp Extract. 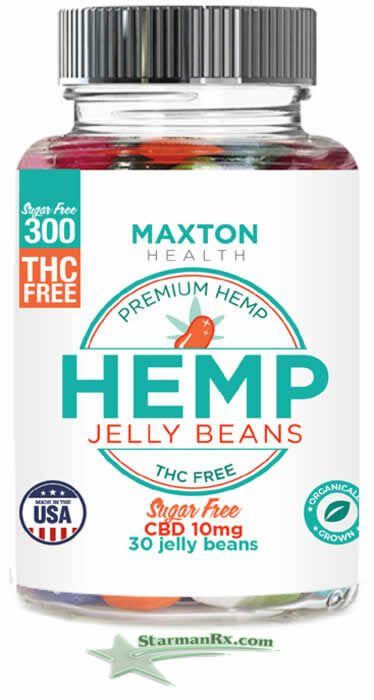 Each jelly bean contains 10mg of CBD and should be used as a supplement and not a snack. Available in Assorted Gourmet, Sour Gourmet and Sugar Free Gourmet Flavors. 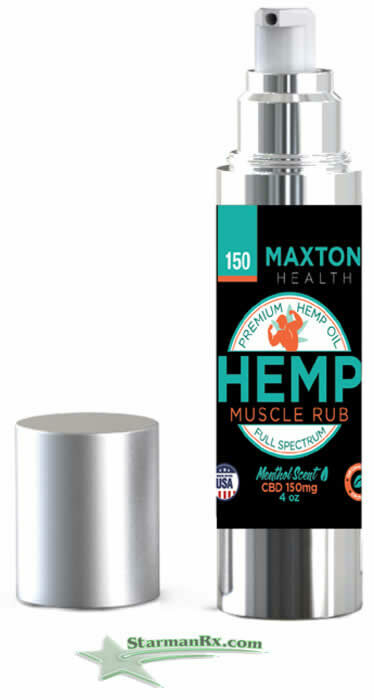 This muscle gel is full of organic herb and plant extract, including full spectrum, organically-grown CBD. 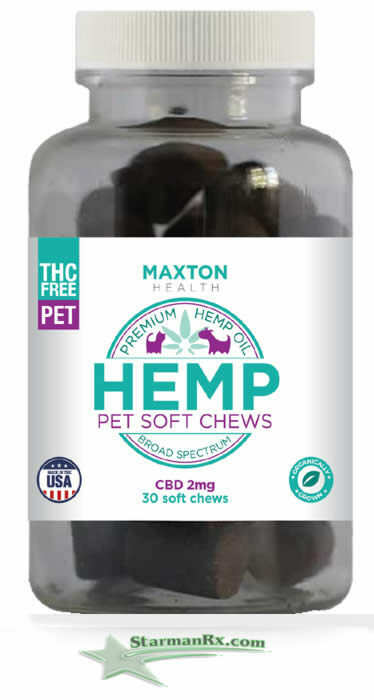 A CBD dog chew (or 2) per day can help keep many health problems at bay. 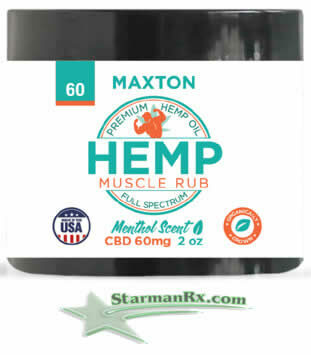 Recommended For: Joint and muscle pain, arthritis, anxiety, hyper activity and preventative care. 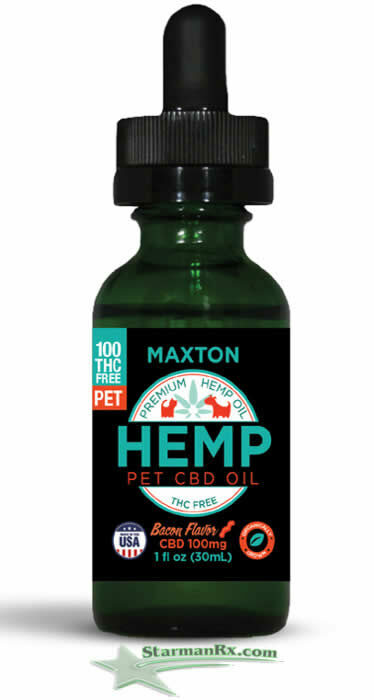 This CBD Oil for dogs and cats contains a Full Spectrum Hemp Oil and is formulated to optimize and activate all other key cannabinoids and terpenes found in this product. Used to aid the relief of arthritic pain, inflammation, skin disorders, digestive issues, anxiety and phobias (ex. 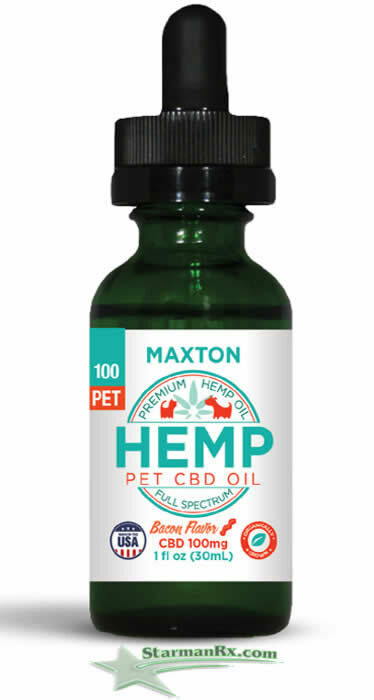 separation anxiety,travel,loud noises), allergies, nausea, seizures, promotes cardiovascular health, and stimulates appetite.